Anyone that has kids will know they can be some seriously tough critics. So when you’re hosting a birthday party for your child and their friends, it’s easy to feel the pressure! Keeping a big group of kids occupied and happy for a few hours while giving your son or daughter a day to remember can be more tricky than it seems. With that in mind, here are a few ideas to give their party the wow factor! Themed parties really look the part. You can choose decorations, entertainment, even make the party fancy dress all based on the theme. It could be something traditional like cops and robbers or a princess party, or it could be something broad such as animals, Disney or even your child’s current favourite character, movie or tv program. Once you have a theme in mind you can start deciding on colours and decorations- bunting and balloons based on the theme is a good place to start. Plus you can get specific decorations for just about anything these days on places like eBay. For example, if you were doing an ‘under the sea’ theme you could go with blue and green balloons, mermaid, fish and sea creature decorations and even make some seaweed bunting. We all know how picky kids can be, so keep it simple with some fail-safe crowd pleasers when it comes to the food. If you like to have your children’s birthdays in a venue, see if they have any hot food or catering options available. Otherwise, a finger food buffet will work well in most cases and you can put it together yourself. Sandwiches, pastries, chicken, cakes and sweets will all go down a treat. A pizza party is another idea, you could either make them yourself from scratch, cook some ready made pizzas from the store or order them in from your local takeout joint. A couple of different flavours should cover all bases, cheese and tomato, pepperoni and a chicken and ham version should suit most kids. The entertainment is arguably the most important bit of the party, and you need to make sure everyone is having a good time and kids aren’t getting bored. Hiring a bouncy castle is a good option, this will keep most children busy for hours. You could also arrange some party games complete with prizes. You could hire a photobooth which will keep kids occupied and give them a fun memento of the evening with their pictures. Or an entertainer, depending on the age of the children. A character based on your theme, a magician, a balloon artist or face painter are all options you could consider. 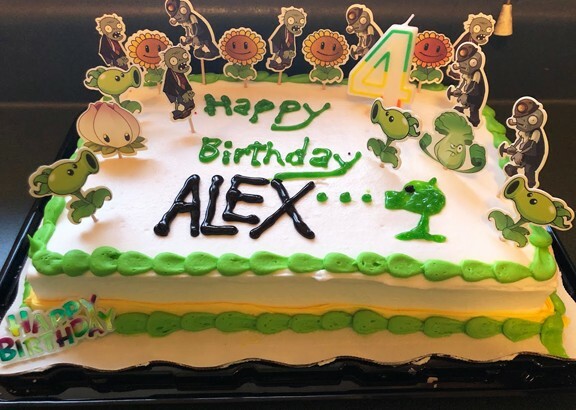 Your children’s birthday parties are something they will remember for years to come, they’re so exciting when you’re young and could quite possibly be the highlight of their year. So as a parent, it’s something you will want to get right. Great ideas. Whenever possible we always tried to use a venue that does most of it for you. Bowling, arcades and the such can be a parents best helper. Thank you for sharing your thoughts. Your children will have great memories to share with others.